Pitch Perfect Movie Trailer. Anna Kendrick, Brittany Snow and Rebel Wilson star in the a cappella comedy, based on the nonfiction book by Mickey Rapkin. 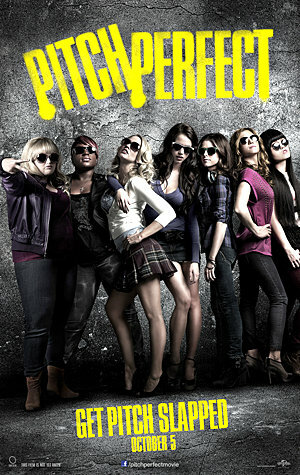 See the movie trailer, photos and poster for Pitch Perfect. New college student Beca (Kendrick) finds herself involved with an all-girls a cappella group whose only thing in common is how good they sound when they sing together. When Beca takes the group out of their world of traditional arrangements into all-new mash-ups, blending two or more songs together, they fight to climb their way to the top of the cutthroat world of college a cappella. MPAA Rating: (PG-13) for sexual material, language and drug references.